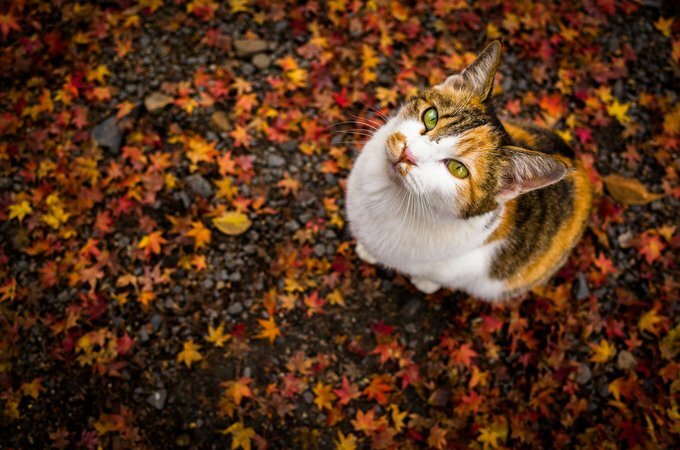 Autumn brings an end to Daylight Saving Time, and as we humans happily “fall back” to gain an extra hour of much-needed sleep, some of our feline friends are not as thrilled. Pets tend to be creatures of habit. They don’t look at the clock to schedule their day. They have a circadian rhythm, a biological clock that tells them when to eat, sleep, or exercise. When this rhythm is disrupted by our sleeping in or arriving home from work after the sun goes down, it can cause a lot of anxiety. 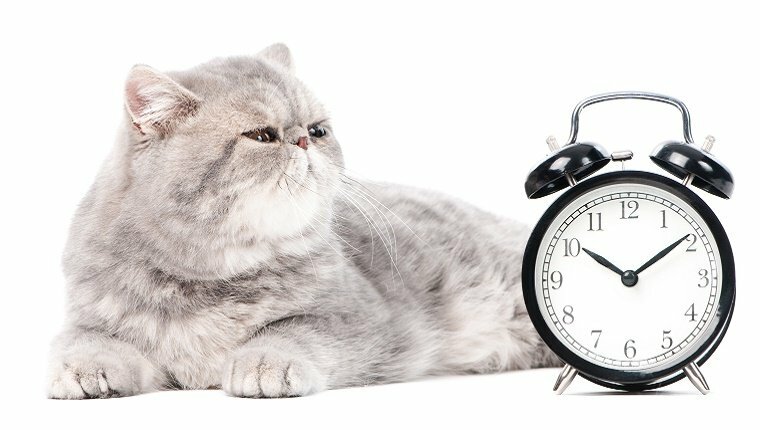 Here are some ways Daylight Saving Time can affect your cat. Oh, and remember to set your clocks when Daylight Saving Time ends on November 4th in 2018. Many cats get dry food in the morning that they can nibble throughout the day and may not even notice when the bowl is refilled an hour later than usual. But if your kitty gets fed regular meals at a certain time of day, the time change can drive them wild. 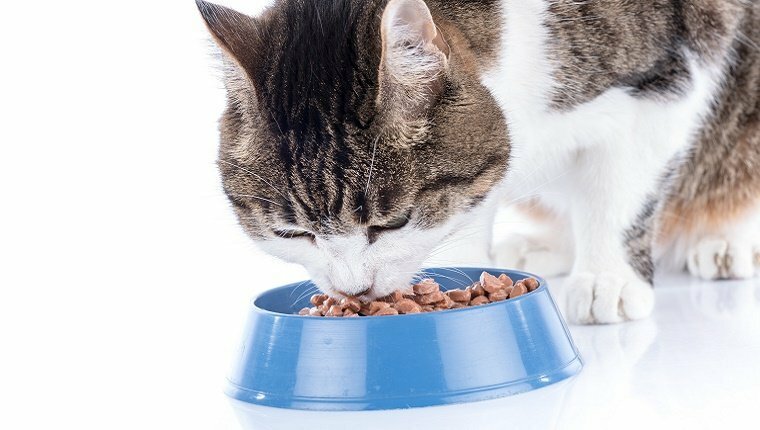 Cats get used to eating at specific times even more than dogs, so when their food doesn’t come, they tend to be a bit more rambunctious. Be prepared for some loud, angry meows and for some precious items to be knocked off the shelves. If your cat is diabetic and takes medication at a certain time of day, it might be a shock to the system to get it late. An hour usually shouldn’t make much of a difference, but depending on the individual cat’s medical needs, it might have an effect. Late medication can leave a diabetic cat feeling lethargic as their body adjusts to the lack of insulin. Some other medications, like those for heart failure, can cause problems if they come too late. 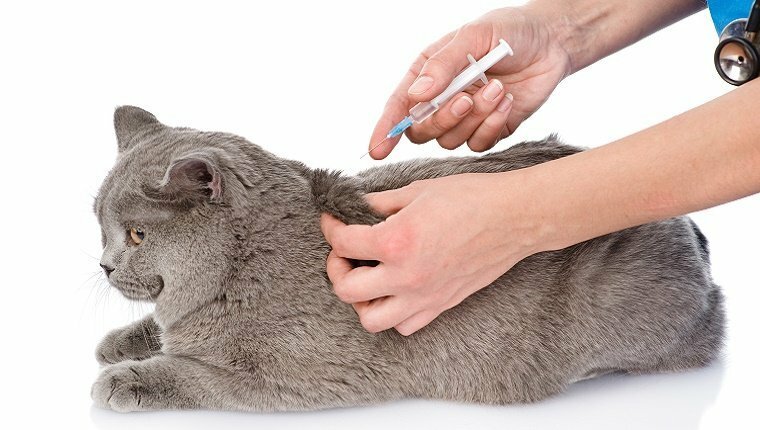 It’s important to consult your vet if your cat has any of these problems or takes regular medication before you change the time for giving your kitty their meds. 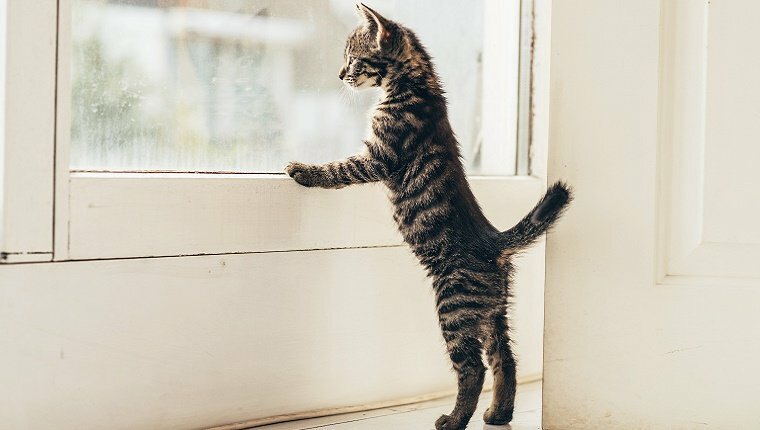 While many cats are independent and get along just fine without you for an extra hour, some cats are more social and depend on your human contact. Pets get used to you arriving home at a certain time, and when you suddenly get home after the sun goes down, it can cause a lot of anxious behavior. Also, if you’re sleeping in while kitty wants your attention in the morning, you might find a cat pawing your nose, sitting on your chest, or meowing grumpily before the alarm goes off. You can take some steps to reduce the effects of the end of Daylight Saving Time on your cat. The best way to go about preparing for the time switch is to start a few weeks early and alter your schedule by a few minutes at a time. A gradual change of a couple minutes each day is far less noticeable than changing everything by an hour all at once. Try putting off feedings for a little bit. Consult your vet on how to go about changing the time of medication delivery. Run a few short errands before coming home from work so kitty acclimates to you coming home after dark. Most importantly, stay in touch with your cat’s needs. If kitty seems anxious or nervous, do your best to provide comfort and support and make adjustments as needed. And don’t forget to set your clocks back!